I have always enjoyed candy from Ferrero, the company that manufactures Nutella Hazelnut Spread with skim milk and cocoa. Oddly enough, I didn’t know that Nutella existed until I skimmed through my coupons. I stumbled upon a $1.00 off coupon for Nutella products in the Sunday newspaper inserts. Now, I don’t normally purchase products just because there is a coupon for it. But, this product looked really enticing to me, so I decided that it might be worth at try. I picked up a jar of this stuff at Walmart for a few dollars minus, a $1.00 coupon. I could be wrong, but I feel that Ferrero mainly markets this product as a breakfast food. It is suggested on the packaging that spreading some Nutella on a slice of multigrain toast and consuming it with a glass of milk and fruit is a good breakfast idea. Well, that just doesn’t cut it for me, as this would actually make me feel hungrier. I like the way Nutella Hazelnut Spread with skim milk and cocoa tastes. It is like a rich, creamy, glob that tastes like chocolate (I guess the cocoa gives it that flavor). I don’t really enjoy eating it on bread and do not consume it for breakfast. Most of the time, I eat it as a quick snack on a spoon or use it as a topping or flavoring in a recipe. Although, Nutella tastes great, this product is not exactly healthy and nutritious as Ferrero might like consumers to believe. 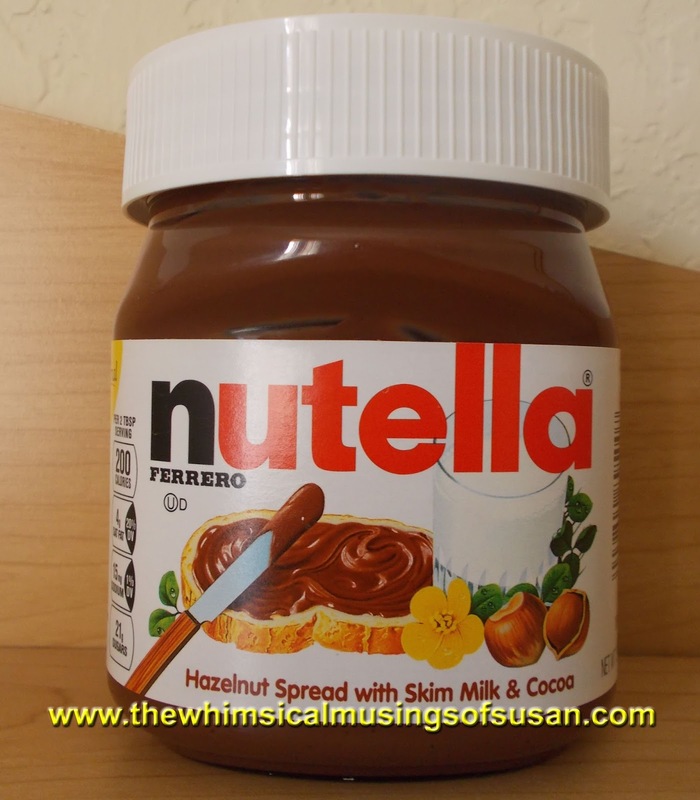 Nutella does not contain artificial colors and preservatives. Bear in mind, that a small serving is high calorie, high fat, and high carb. According to the product labeling, a two tablespoon serving contains 200 calories (of which 110 is fat), 12g of fat (4g saturated), and 21g of carbohydrates, and 2g of protein. Therefore, I eat Nutella Hazelnut spread in moderation. The one jar that I purchased has lasted me about 4 months. Keep these nutritional facts in mind when deciding whether to purchase this product. For more information about Nutella Hazelnut Spread with skim milk and cocoa, visit www.nutellausa.com or call 1-800-NUTELLA.